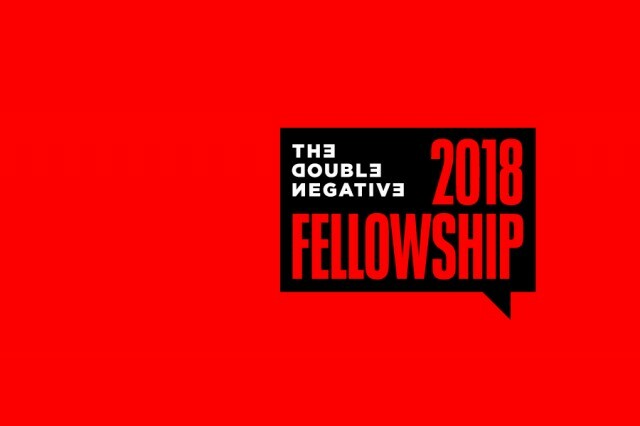 We are delighted to announce that three Merseyside-based writers – Denise Courcoux, Ellie Wiseman and Jacob Bolton – have been selected for The Double Negative Fellowship 2018. The three Fellows were carefully selected for our inaugural programme from a highly competitive and wide field of writers, who submitted applications from across the North of England. 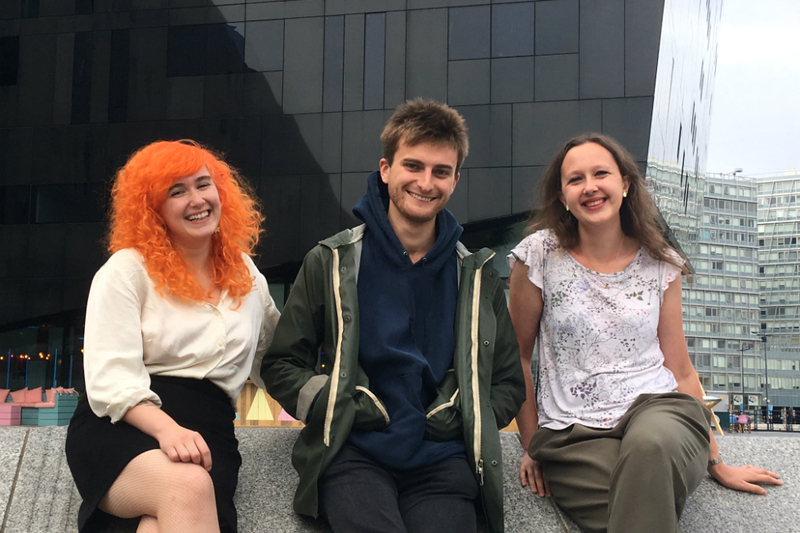 Denise (above, right), Ellie (left) and Jacob (centre) will each receive one-to-one mentoring from an outstanding set of international writers and editors throughout this year. They will be commissioned to produce new writing, and will be the recipients of bursaries and training. All three Fellows will also meet Jennifer Higgie, the Editorial Director and staff writer of frieze magazine, for advice and feedback. Denise, who is 34 years old, lives in New Brighton and was born in Coventry, will be mentored by curator, lecturer and author of Co-Art: Artists on Creative Collaboration, Ellen Mara De Wachter. “I’m really excited at the prospect of such brilliant mentoring support”, says Denise. “I can’t wait to get stuck in and be challenged, and to see where it takes all of our writing.” She hopes to use the Fellowship as a catalyst to pitch to more magazines, and to experiment with creative non-fiction. Ellie is 24 years old, lives in Liverpool and is originally from Aberdeenshire, Scotland. Ellie’s mentor will be Stephanie Bailey: editor-in-chief of Ocula Magazine, and the current curator of the Conversations and Salon Programme at Art Basel Hong Kong. “I’m so excited to work with such inspiring people”, says Ellie, “and to use this opportunity to gain some more confidence when it comes to my writing. I have no doubt that this experience will be very important for my future, so I can’t wait to get started.” Ellie hopes to use the mentorship to be published more widely, and to support her zine making. 25 year old Jacob also lives in Liverpool and was born in Preston. He will be mentored by ArtReview’s International Editor, Guardian contributor, and member of the 2018 Turner Prize jury, Oliver Basciano. “Super made up to be working with everyone on this”, says Jacob, “and really looking forward to pushing each other’s writing to new places.” He’ll be exploring writing that demystifies art and exhibitions, and which opens up or legitimises new avenues of experience. The next stage for the Fellows and their mentors will be to research Liverpool, 10 years on from European Capital of Culture 2008; the outcome of which will be published later on this year in a new, printed edition of The Double Negative, as well as online, including on ArtReview and Ocula. They’ll also be involved in a series of events through 2018. Oliver will be speaking at Cities Of Culture, 30 Years On. Who Has The Edge conference in Liverpool, from 17-19 October 2018; Jennifer will be helping us to run a pop-up writer’s training camp (TBC); and our book launch and celebratory Fellowship closing event (with live readings) will be on 3 November 2018. We will be publishing a series of new short films from the mentors, here on The Double Negative; with advice on writing reviews, interviews and features. We are incredibly excited to be working alongside such a talented group of people, and can’t wait for you to see the results.